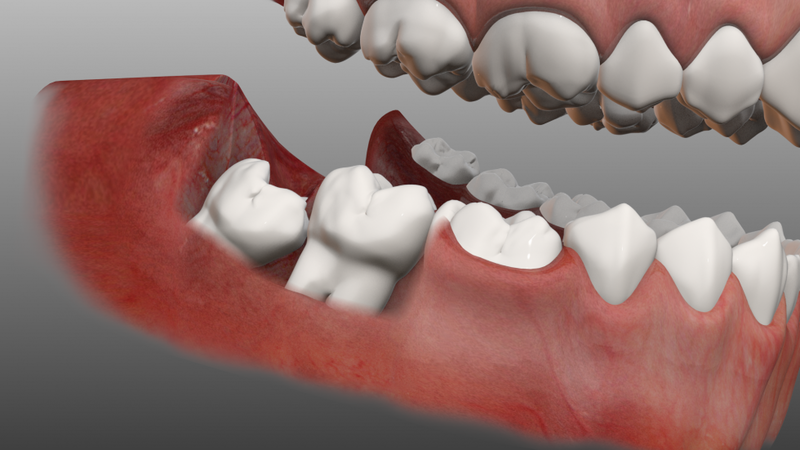 Present at the back of one's mouth, wisdom teeth make the lower and upper third molars of the set. They normally come between the age of 17 and 21 and since this is when the person is considered to have become a bit wiser, they are called wisdom teeth. The interesting thing about wisdom teeth though is that around 35% people never them. People who see their wisdom teeth coming in should be prepared for a few things. Keep on reading to find out about them. What Indicates the Wisdom Teeth Are Coming In? There are no major symptoms for wisdom teeth coming in mostly.The main reason for this is that wisdom teeth are usually perfectly aligned with the jaw line as well as the other set of teeth. You may feel a slight irritation in the gums around the time when your wisdom teeth would be coming in. The irritation would be felt in the region directly behind the second molar. You might also feel soreness and an urge to itch in the region. The gums in the area might swell a bit. The pain felt during the growth of wisdom teeth usually varies from person to person. One thing that is common for all is that the pain is infrequent to begin with and becomes more frequent as the teeth begin to come in further. You might start feeling a consistent dull ache, accompanied with sharp pain every now and again in case a partially grown wisdom tooth gets infected. The gum flap over the wisdom teeth would turn red or dark pink when they would start coming in. You should also be able to notice some bleeding from the region while brushing your teeth. It is necessary to keep the flap clean as collection of food debris under it can lead to infection. When the teeth would have come in a bit, they would become visible as well. The wisdom teeth usually appear as white specks just visible over the gums. It's necessary to brush these partial teeth every day. The wisdom teeth usually crowd the mouth when they come in as they don't have any space of their own. This would lead to an increase in the number of times you would accidently bite your tongue or your cheek. This would usually happen while you eat or while you talk. Wisdom teeth start to press nerves along with other teeth in the region and this pressure on nerves can lead to pain in other regions of your head. The pain would normally be felt in your jaws, eyes and ears and would be commonly felt during the night. A couple of other minor symptoms include swelling of neck's lymph glands and a poor taste in your mouth. Do Your Wisdom Teeth Come In Normally? Mesioangular impaction: In this eruption form, the tooth comes out in a forward position. Veticle impaction: In this eruption form, the tooth doesn't come out entirely from the gum line. Distoangular impaction: It is the opposite of mesioangular impaction as the tooth comes out in a backward position. Horizontal impaction: In this rare eruption form, the tooth comes out in a sideways manner and actually starts growing into the second molar's root. If these problems cause pain, it's best to go to the dentist for treatment. The common remedy for the pain is the removal of the tooth. The dentist will first give a local anesthetic, make a path to the tooth through the gum and then break it into little pieces before removing it entirely. Watch the video below to know more about wisdom teeth removal. There is no set time for the wisdom teeth to come through and people may have different feels. Here are the experiences of some people about their wisdom teeth coming in. "I was just 18 years old when the first of my wisdom teeth started growing and I had a throbbing pain for a week before it stopped growing. I am now 28 and have two half grown wisdom teeth." "I had a pinching pain in my jaw when the first wisdom tooth started coming and the pain would come and go every couple of minutes. All four of my teeth have now broken skin, but it took them a long time." "When my wisdom teeth were coming through, the pain was so much that I wasn't even able to open my jaw. Normalcy was restored once they had grown and I haven't had a problem since." "My wisdom teeth came through when I was about 12 though many get their wisdom teeth when they get 21. My jaw hurt a lot and the gums became very tender at the time." Can You Fix Your Broken Tooth By Yourself?